America’s bestselling travel trailer 11 years running. 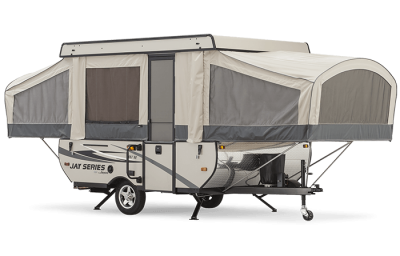 Committed to quality, we back our camping trailers with a 5-year tent warranty (n/a on Hardwall models) and an industry-leading 2-year warranty, plus our Jay Series and Jay Series Sport models are backed by five lifetime component warranties. Simply put, you can camp easy knowing we stand behind our product.